almost as good as Street Fighter 2.
legendary NeoGeo series The King of Fighters is derived. Its like Street fighter.. but i like these oponments better..... idk why.. maybe its the style? in this game, you can use all different character not only the three main characters, this is what I like to play this. The Scribe is pretty uninformed, here. 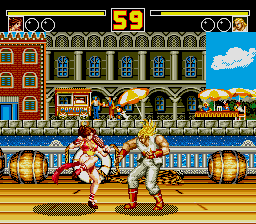 Fatal Fury (Garou Denetsu) is the first major, important Street Fighter clone. It set up essentially the entire legendary SNK legacy. Terry and Andy Bogard's adoptive father, Jeff, was killed by Geese Howard. Some while later, they (along with Andy's kickboxer friend, Joe Higashi) join Geese's personal King of Fighters tournament in order to confront him. Besides being the first game in the Fatal Fury series (which improved with each edition), Fatal Fury 1 chronicles the first (known) King of Fighters tournament -- setting up the revered King of Fighters series which would appear in '94 as a sort of clash between Fatal Fury and SNK's other major series, Art of Fighting. King of Fighters became its own, arguably superior series after this point, acquiring a long and deep storyline in the process. Fatal Fury Special is not in any way the same game as Fatal Fury. 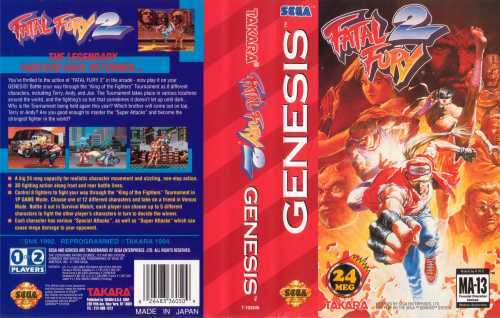 FFS is to Fatal Fury 2 what Street Fighter II: Championship Edition is to the original SFII. More or less. The original Fatal Fury is dated, and doesn't control too well. Beyond this, its character selection is bleak. Most of this was fixed in Fatal Fury 2, generally considered SNK's first "good" fighting game. 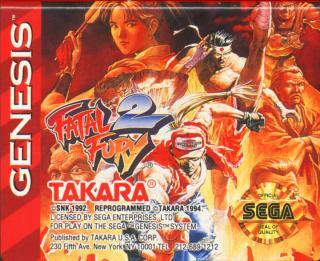 Fatal Fury 2 introduced many more characters, including fan favourite "boingy" Mai Shiranui, vastly improved graphics, and better mechanics. HOWEVER, Takara's SNK ports are generally reviled by the afficianados. Takara just did a sloppy job porting the games. That's about all that can be said. Go for the original Neo-Geo versions of nearly any SNK fighter up until 1995. 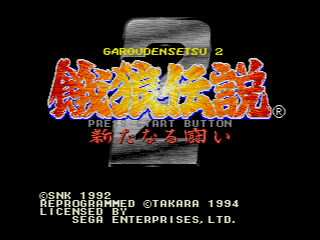 After that point, SNK started porting their games to first the Saturn and then the Dreamcast. These ports are all of excellent quality, and worth the money if you can track them down. 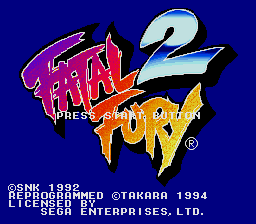 I don't believe there were any really good ports of the early Fatal Fury games, aside from the halfway-decent one of Fatal Fury Special mentioned above, for the Sega CD. The first is still one of my favourite fighting games on any system, and it is great in 2-player mode.